Faster Than You Thought Possible? STOP BEING A HOSTAGE-WE CAN REBUILD YOU! STOP BEING A HOSTAGE-WE CAN REMAKE YOU! STOP BEING A HOSTAGE-WE CAN HELP YOU TURN BACK THE CLOCK! 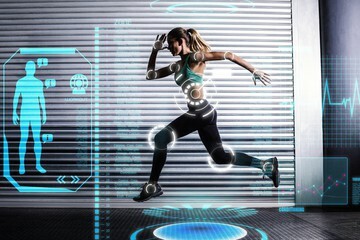 YOUR FITNESS SOLUTION IS HERE! Now You Can Have A Leaner Body, Flatter Stomach, Increased Strength & Energy and Finally Get In The Best Shape of your Life in as little as 12 Weeks or less!" 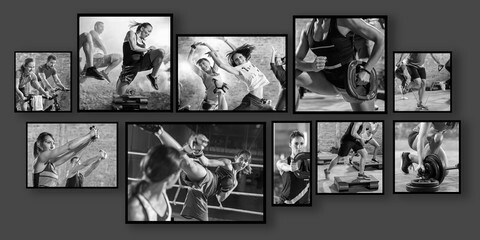 Our mission is to provide our clients with the best possible fitness experience every time a session is scheduled! Are YOU tired of the one size fits all weight loss programs that don’t do anything for your body or your self-esteem? Are you clearly frustrated with your body? Don’t make your busy schedule a reason why you can’t look and feel better. Jump start your fitness plan NOW…regardless if you are a beginner, intermediate or advance in the fitness arena. Do you find yourself spinning around wasting time in the gym hoping for something right to happen to your body? How about watching your diet, but still can’t get the body you want? Or, maybe you’ve never done a lick of exercise in your entire life but would love to start so that you can really start looking great….but YOU are confused about what really works. Tried this or that, had some success but all the weight came back. How many times have tried to get into better shape and commit to being healthier, then your old habits creep back into your life? There is a reason. But it's probably not what you think. You know there is a better way to train and you would happily do it if you just knew what it was RIGHT? Picture This...........Imagine for a moment what it would mean to YOU if you never had to try another ineffective fitness or weight loss program again and you could look and feel the way you want to in 12 weeks or less!! And YOU could do it without the use of fad diets, pills or fancy gym equipment. Are YOU looking for a fast and fun way to get fit without spending what seems like a lifetime each week working out? Would You like to learn simple workouts that blast away unwanted fat and sculpt your body? 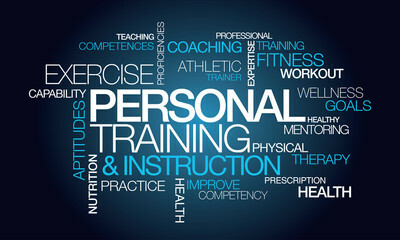 I am a certified performance strength fitness coach and weight loss expert for clients and athleteles seeking to achieve their performance and physique goals. But don't let that stop you from me being able to I help you? The reason is I've helped hundreds of people from all walks of life. Let me provide you with the cutting edge training information and techniques that delivers results. I have successfully worked and consulted with wide range of clients that included Olympic hopefuls, professional atheletes, Division 1, 2 and 3 athletes, nationally ranked high school athletes. Want to turn your body into a 24 hour fat burning toning machine? 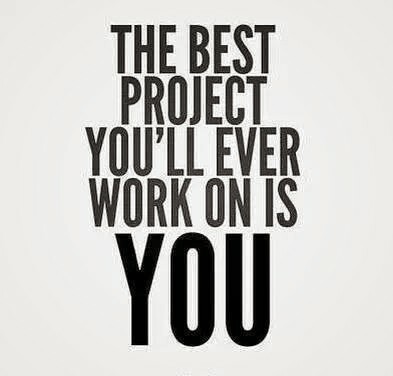 I'm so confident I will transform your body forever, I GUARANTEE your success...or I'll give you your money back! Why am I so confident that I can guarantee your success? We are the only fitness company that offers the Philly Fast Fit Body S.W.I.F.T (Structored Workouts and Intense Fitness Training) 1-2-3 Amazing Fitness Formula developed by yours truly. Our Philly Fast Fit Body S.W.I.F.T. 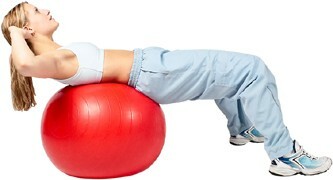 1-2-3 Amazing Fitness Formula workouts are FAST and FUN regardless of your fitness level. You will experience an intense training regiment created to push your Mind, Body and Soul to a higher level that GETS RESULTS! You will experience an intense training regiment created to push your Mind, Body and Soul to a higher level that GETS RESULTS! The cutting edge workouts are a mix of cardio burning, multifuctional toning that INCINERATES calories faster than butter melting in a frying pan. It's the most challenging routine that you will do. The Philly Fast Fit Body S.W.I.F.T. 1-2-3 Amazing Fitness Formula will help you achieve your goals in no time flat! Most people who work with us lose an average of 3 inches to and about 10 pounds. But, RESULTS will vary with each individual. You see, we make getting in shape easier for YOU. 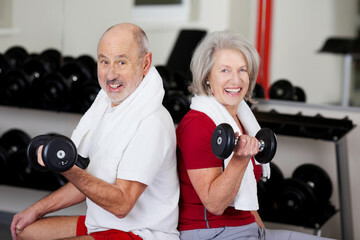 Our programs range from 1-to-1 personal training, you and 1 to 4 friends together, couples training and baby boomers. We have programs for people of all fitness or lack of fitness levels, and body types. Plus, our Nutrition Program teaches YOU, and or if you have a family, how to eat healthier. Our program gives you a blue print to help you achieve your nutritional goal. However. this is why I do what I do because of true grit and determiniation by clients that I love to coach striving for nothing less than obtaining their goal. I remember when I met Angela in the summer of 2013. I was just finishing up working with four of my athletes at a local college's outdoor facility to improve their speed, when over walks this young lady with a slight limp. She was a dirty blonde hair, stood 5-5, and was a little on the chunky side. When she approached she asked was I a trainer. When I said yes, she then asked do I work with people who are not athletes. As fate would have it, Angela had contacted me the day before. She said I've been looking for a trainer and only one has gotten back to me. She said she was going to call him back when she finished her walk around the track. When I asked what her name was and she responded Angela, we both said at the same time her last name and laughed. When I sat down to talk with Angela, she had to hold back the tears as she began to spill her story to me. Angela, who was from the UK, was a pharmacy student at a local college. She had take off in the middle of the spring semester because she had been in a horrific automobile accident. This young lady said she use to be a vibrant and active person, a runner, played tennis and participated in various school recreation sports. The accident had pretty much brought her active life to a screeching holt. The accident left Angela with several herniated discs. To make matters worse, she was initially paralyzed from it. Her parents and fiance flew over from the UK to be with her and help her decide on whether she should have surgery or see if she could recovery on her own. They all agreed on the surgery. In her case, it was what is called a lumbar fusion. A combination of rods and screws were placed on the herniated discs to keep them in place until it heals. She left the hospital 4 days after surgery and soon started rehabbing. I started working with Angela about six months after her accident. Despite rehabbing and when she was given the go she could start doeing limited very very limited. During our initial talk, I wanted to know what she could do, as oppose as to what she couldn't do, meaning according to her doctor. Although Angela was progressing, but she wasn't progressing to the point of where she wanted to be. And with the added weight gain, she became frustrated, thus her persuit of a fitness trainer. She still could not run, her main love, let alone any other recreational activity. When I put the program together for Angela, we met 3 days a week for a month. There were days Angela said I want to quit followed with I hate training, but she hung in there.I did everything I could to help before her next scheduled doctors follow up appointment which was a 30 days away after we started. She called me that day after her appointment to tell me the good new. Her doctor had asked what she had been doing? She told him she was working with a trainer. Not only had she lost 20 pounds, the doctor had given her the ok to run again, light jogging not 5k running. Plus she could use heavier weights. She was limited to 1-2 pound weights. Upon her next visit to the doctors 30 days later, her doctor gave her the ok to go back to her normal activities without limitations. Her goal after go ahead was for me to help get ready for the Broad Street Run as well as the possibility of tuff mudder. She completed both events. While I enjoy working with athletes, I love even more working with EVERYDAY people who are ready to fight back to get a healthy lifestyle back. The athlete is already in a competitive mindset. For the ordinary man and women that are at times at a disadvantage trying to reverse years in most cases of a seditary, that's why I developed the Philly Fast Fit Body S.W.I.F.T. 1-2-3 Amazing Fitness Formula Program. "This has been a great beginning to the rest of my life. It has been an amzaing opportunity learning about better eating and exercise habits. I complain a lot but he just didn't listen and kept pushing. I know if I had tried to do this on my own, there were deifinitly times I would have quit. The results so far speak for themselves. My family, friends and co-workers have all noticed the difference." "I've been working with Jeffery for over 4 years now. I remember 2 things when we first starting working out together. The first being, when you graduate from me, I'm going to make sure that you are both knowledgeable about nutrition so you never have a setback. And when you graduate from using my services that you won't have a problem doing or knowing excercises to put together for yourself. Well, I'm still with him becuase he makes the workouts challenging and fun. He's knowledgeable, he keeps you motivated and he really cares about your well being. I've lost over 90 pounds (was 277 lbs), feel great, eat great and look the best I've looked in years. Are YOU ready for a workout that will leave you wanting more instead of being bored? With the Philly Fast Fit Body Fitness Program, you'll experience a series of intense training regiment created especially for YOU to push your mind, body and soul to new heights.Getting inshape shouldn't be something that you dread. When you hire Philly Fast Fit Body and you follow exactly what is prescribed to YOU, both in workouts, nutrition and accoutability, your body turns into a fat burning, calorie blasting, energy generating, muscle toning machine. 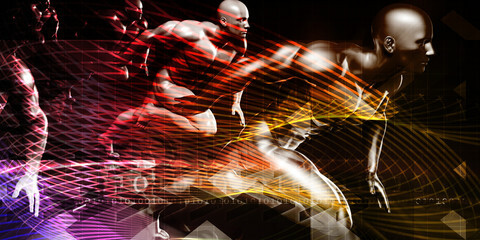 WHAT MAKES PHILLY FAST FIT BODY'S PROGRAM SO EFFECTIVE? Research has shown that to be most effective, an exercise program should include Variety and Progressively Challenge The Body as fitness levels increase. Each week your Workout Circuit changes, offering you variety, promoting results and preventing overuse injury. With several Workout Levels included in the program, there is always a new challenge waiting for you, resulting in weight loss and an increase in muscle tone. You'll find the workouts original, energizing and fun. My Motto " I HELP PEOPLE LOOK BETTER NAKED IN A MIRROR ONE BODY AT A TIME"
Philly Fast Fit Body is a proven comprehensive program that provides men, women or athletes fitness program solution whether online, in-home, or in-officeis designed to help you stay motivated and on track. Philly Fast Fit Body brings Fitness Training, Motivational Coaching, Nutritional Planning and ann Accountability Support System all together in an affordable offering. Live and train in a healthier lifestyle. 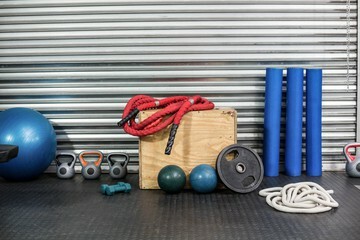 We take you through challenging and fun workouts designed for you specifically. Not a cookie cutter program. Get in shape, toneup, burn fat, and lose weight. When you follow exactly what is prescribe, your body turns into a fat burning, calorie blasting, energygenerating, muscle toning machine. Still have doubts, here are a few more reason why you should choose Philly Fast Fit Body. We give you everything you need to SUCCEED 8 ways. ==>1. Fitness For Everyone - We have programs for people of all fitness levels, and body types! ==>2. Guaranteed Success - You will success and ACHIEVE your goals! That's our Guarantee! ==>3. Convenience - We will train when you want to and where you want to! ==>4. Stay on Track - You will stay on track with our support and periodic re-assessments! ==>6. Eating Plan - You will eat foods that will dramatically increase your body's ability to burn calories so you lose weight fast. No boring or extreme diet plans. And yes you can still eat most of your favorite foods. ==>7. A Fun And Effective Personalized Workout Program - You don't need to kill yourself doing 2 hour workouts in a gym or at home. You do two 20 minute workouts twice a week at home which is all it takes to begin to reshape your problem areas and start remaking your body over in as little as 12 weeks. You'll be amazedhow much fat will melt off your body in a short period of time. It doesn't matter what your age or current fitness level is. ==>8. Guaranteed Results - I'm so confident I will transform your body forever I guarantee my results or your money back. Ask any other trainer or gym do they guarantee their results. We all have an internal voice that tells us what we want and need. Are you saying any of these thoughts to yourself? If so, than you can FINALLY stop feeling that way! "I am tired of losing weight and gaining back more than I originally lost..."
"I am ready to get in shape, build muscle, burn fat and lose all the weight I gained in pregnancy, but I don't want to do it alone..."
"I feel I need motivational and emotional support from a Personal Trainer to get my personal fitness, health and exercise programs jump started again..."
"I spend all day dedicated to my job - I am looking for a Personal Fitness Trainer or Weight Loss Coach who is dedicated and focused on my long term personal fitness success and what I want to achieve..."
"I am searching for the best overall Online Personal Fitness Training Programs that will really deliver on-going, life-long personal fitness results - I want a long term fitness solution..."
"I am seeking the Personal Fitness Training Plan for the Perfect Body for My Life..."
A lifestyle change owill only come for you when you're ready for a real commitment. If you're tired of the extra weight, not being able to fit in your clothes, feeling embarrased about your weight, or are tired of looking in the mirror at what you don't like to see...the people who can help you CHANGE are right here! We are here to help you reach your body's potential through bringing you the best information and news from the fitness and health industry while providing you innovative ways to work out. 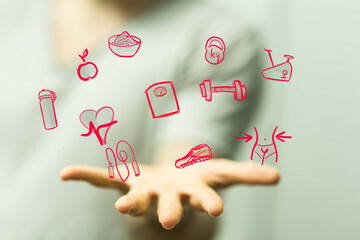 Through our customized personal training programs, exercise plans and nutritional advice, we will keep you focused on your path to a new Body for Life. So, let me take all the risk. If you don't see results in 12 weeks or less, I'll work with you for FREE whether it takes 12 months or 2 years. Do me a favor and read that last statement again. What that statment also means is I believe in Philly Fast Fit Body's program and I'm also committed to YOUR SUCCESS! Yes Jeffery I'm ready to get started. What do I need to do to start with your program Right NOW? You can contact us by clicking on the link up top, you can call us 267-702-5604 or email us PhillyFastFitBody@gmail.com or you can start by taking our FREE ONLINE Fitness Anaylsis. Don't Delay! Do it while its on your mind TODAY! And remember this, if YOU don't take action right now and you let a month go by, you'll be 30 days older. Think about that for a moment.You could also be 10-20 pounds heavier instead 5-10 pounds lighter. Choose wisely. Sign up now! NEW! Local Fitness Expert Releases New Ebook! Get It Instantly By Completing The Form Below! Get This FREE Ebook Instantly By Completing The Form! "FREE Ebook Reveals How To Easily Lose 1-2 Pounds Of Fat Per Week, 100% Guaranteed!" Discover why most people are "spinning their wheels" when trying to lose weight! Learn how to stop wasting time and start accelerating your fat loss and results within minutes of reading the system revealed in this ebook! Get it instantly below! Get it Instantly! Just Complete The Form And Click The "Get It Now" Button! Thismaterial is Ã£Copyrighted by Jeffery Rice.